Whether it’s for Christmas, a birthday surprise, anniversary gift, or just something different to give to someone, our activity gift vouchers make a special experience day gift. 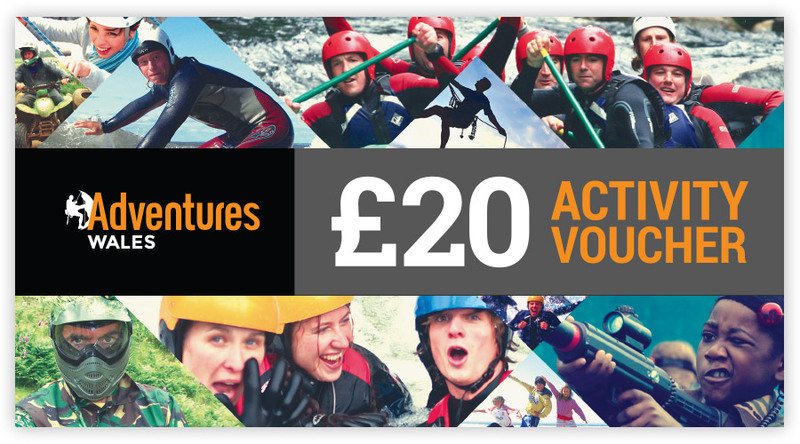 All our £20 activity gift vouchers can be used at any time during the year here at Adventures Activity Centre and for any of our experience day activities. For last minute Christmas & Birthday presents, we can email our personalised PDF gift vouchers to you within minutes! How long are the Activity Gift Vouchers valid for? All activity vouchers are valid for 12 months from date of the purchase. How do I redeem my Activity Gift Voucher? Simply call us to book your activity on 01656 782300. The gift voucher is used against the value of your chosen activity or activities. Does the Activity Voucher have to be used on a specific date? 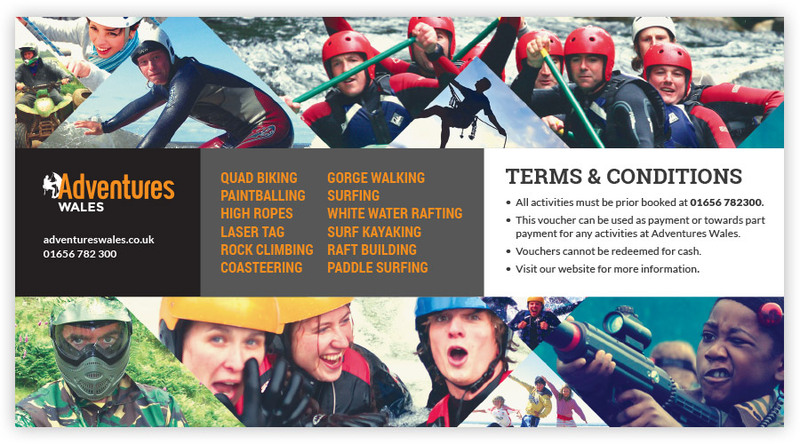 No, You simply book your activity for when you wish and use your activity gift voucher as payment. Are there restictions that I should consider when purchasing an Activity Voucher? Yes, some of our activities have certain age restrictions. Quad Biking 7yrs+ and Paintballing 12yrs+. These will be stipulated in the activity description. Can I purchase a Gift Voucher over the phone? Yes. We accept all major credit cards and send out your activity gift vouchers next day recorded postal delivery.